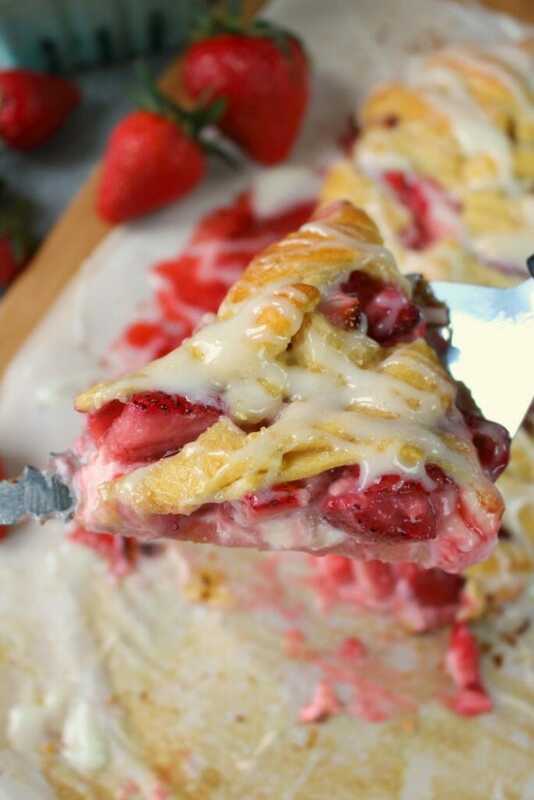 The ultimate strawberry breakfast pastry! 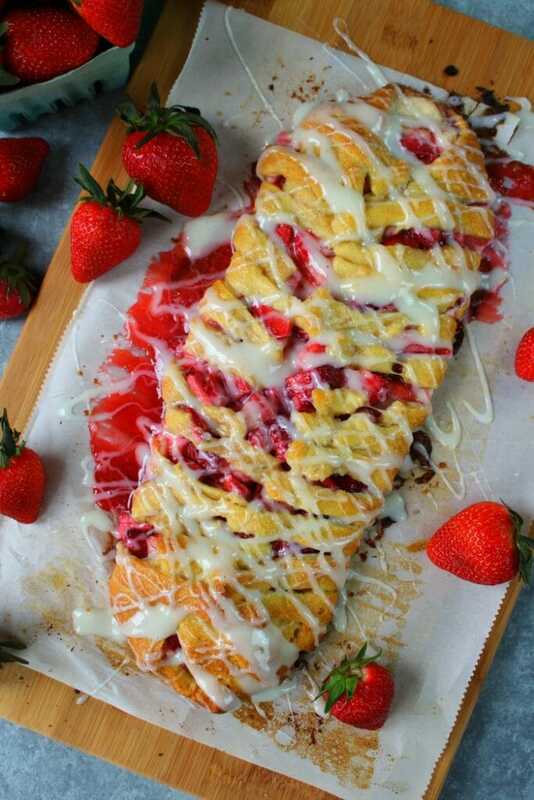 This scrumptious Strawberries & Cream Breakfast Braid is made with store-bought crescent dough and a few other simple ingredients, making it incredibly easy to make. 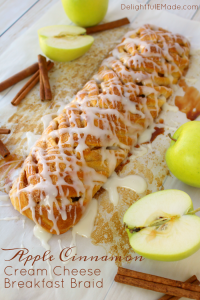 Perfect for your next brunch or weekend breakfast! The spring and summer months bring copious amounts of fresh strawberries. As a kid, strawberries were my absolute favorite fruit. My mom had a small strawberry patch near the clothesline beside our small family home in rural South Dakota. My brother and I would go out in our bare feet and pick strawberries right off the vine. No buckets needed – we ate the sweet, fresh berries as soon as we pulled them off the stems. Sweet, wonderfully juicy and the perfect snack on a warm summer morning. As an adult, strawberries are still one of my absolute favorites. 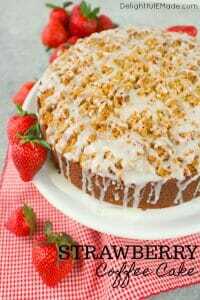 I love turning these red, sweet berries into everything from my Strawberry Coffee Cake to a delicious Strawberry Shortcake Martini! 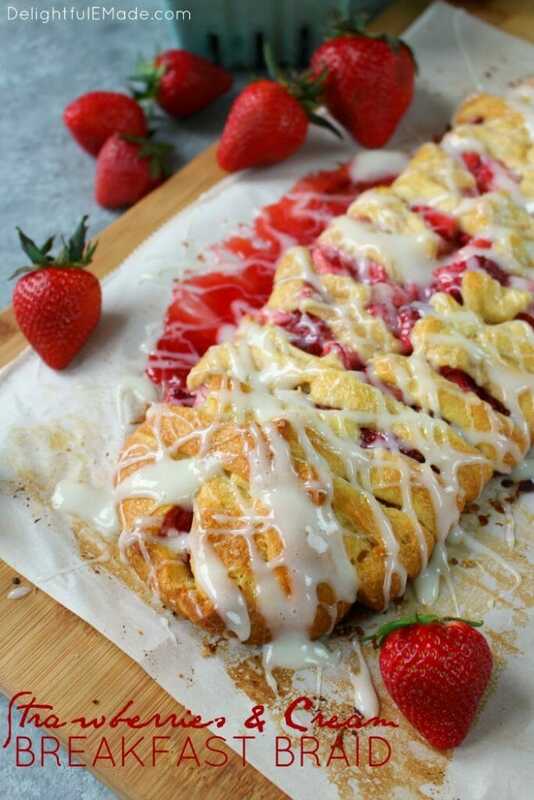 Because cream cheese is also a perfect compliment to fresh strawberries, making this delicious Strawberries & Cream Breakfast Braid has been on my must-make list for quite a while. 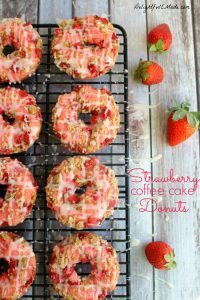 An amazingly simple strawberry breakfast pastry, this simple breakfast treat comes together in no time at all. 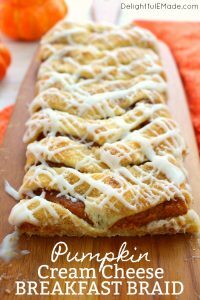 The secret ingredient that makes this delicious breakfast pastry so simple is the store-bought crescent dough. This is a huge time-saving shortcut to making this breakfast pastry, and makes the prep come together quickly. I prefer using non-perforated crescent dough, but I realize not all stores carry this. If you cannot find the non-perforated crescent dough, pick up a tube of the regular crescent dough. Next, cream together the cream cheese and 2 Tbsp. of the granulated sugar. 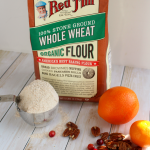 Spread in the center of the dough, leaving about 4″ in each side, and about an inch or two at the bottom and top. My less-than-perfectly cut dough strips. To the chopped strawberries, add the remaining 2 Tbsp. 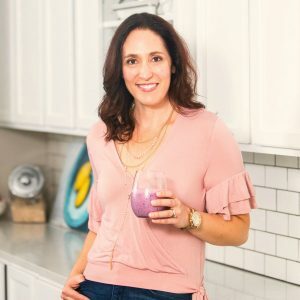 of granulated sugar and corn starch. Stir together to coat the berries. 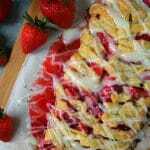 Then, pour the berries over the top of the cream cheese mixture that has been spread on top of the pastry dough. Next, starting at the end, begin folding the dough strips on top of each other. Alternate each side to create a braid-like design. 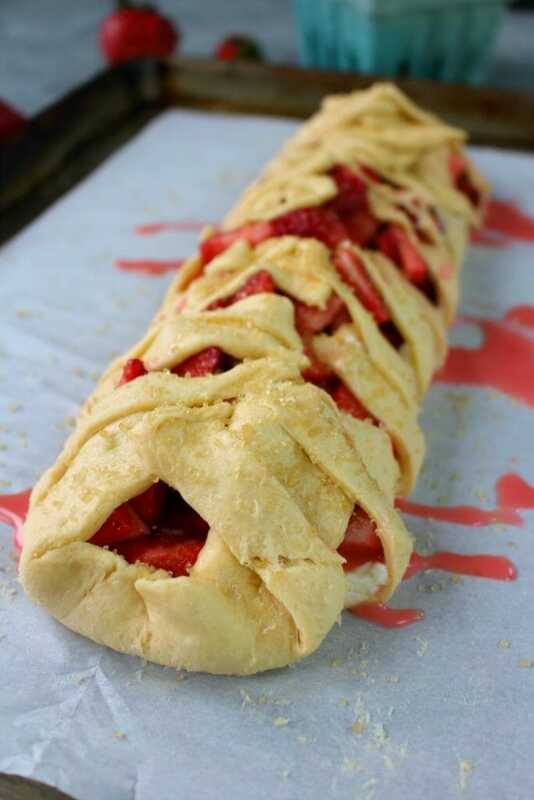 Continue until all of the strawberries are encased into the dough. 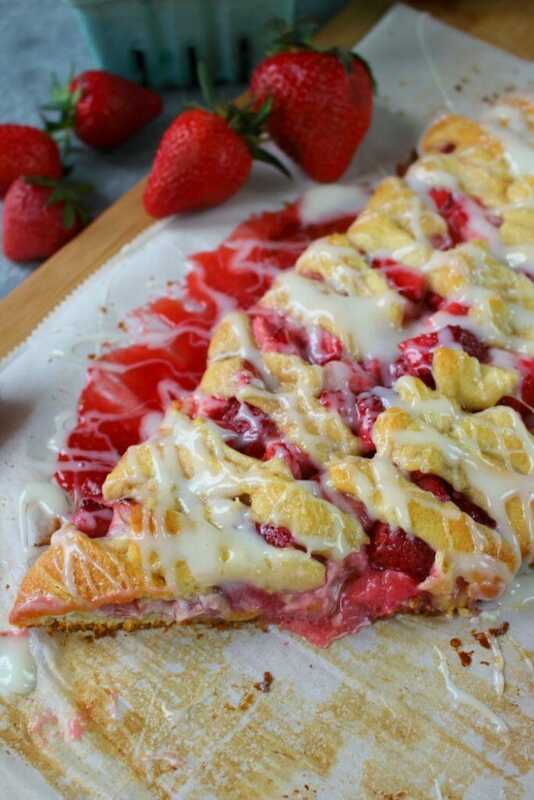 This is a fantastic way to add some texture to this strawberry breakfast pastry. Each bite will have a tender crunch from the sugar atop the pastry. 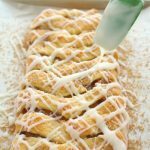 Sprinkle the sugar over the top of the braid and the place into the oven to bake. Bake at 375 for 15-18 minutes. The pastry will bake to a beautiful golden brown – at this point you’ll know it’s done. While the pastry is in the oven, mix together the glaze. 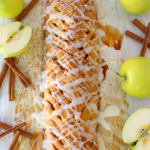 Once the breakfast braid comes out the oven, let cool for a few minutes. Then, drizzle the pastry with the glaze while still warm. 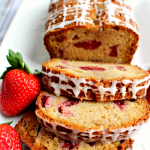 This strawberry breakfast pastry is amazing served while still warm. Enjoy with an Vanilla Bean Iced Coffee. 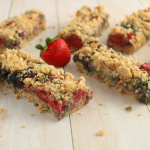 It’s fantastic for your next brunch or weekend breakfast treat. 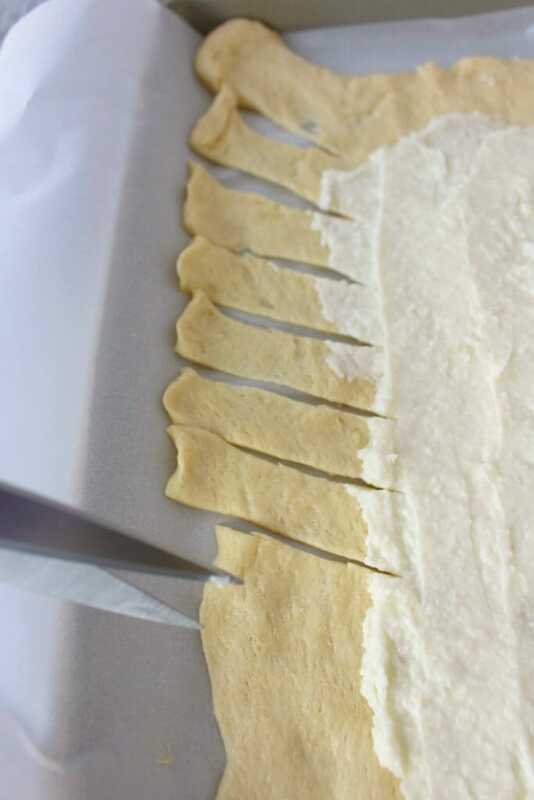 On parchment paper, roll out the crescent dough and pinch together any holes or perforations. In a bowl, cream together the 4 oz. cream cheese and 2 Tbsp. of granulated sugar. Spread into the center of the dough, leaving about 4" on each side. 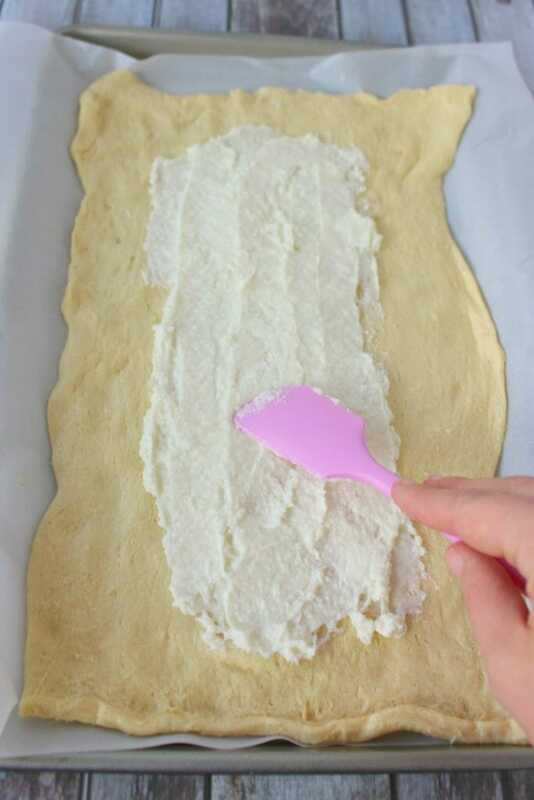 Using kitchen shears or a knife, cut diagonal 1" strips along the sides of the dough. Rinse and cut the strawberries. In a bowl, add the remaining 2 Tbsp of sugar and the cornstarch. Mix together to coat the berries. 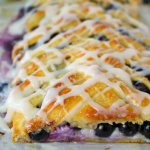 Pour the berries over the top of the cream cheese area of the dough. 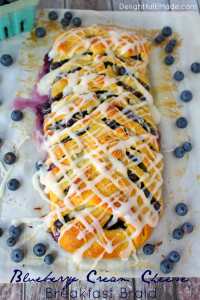 Gently fold over each end of the dough on to the berries. 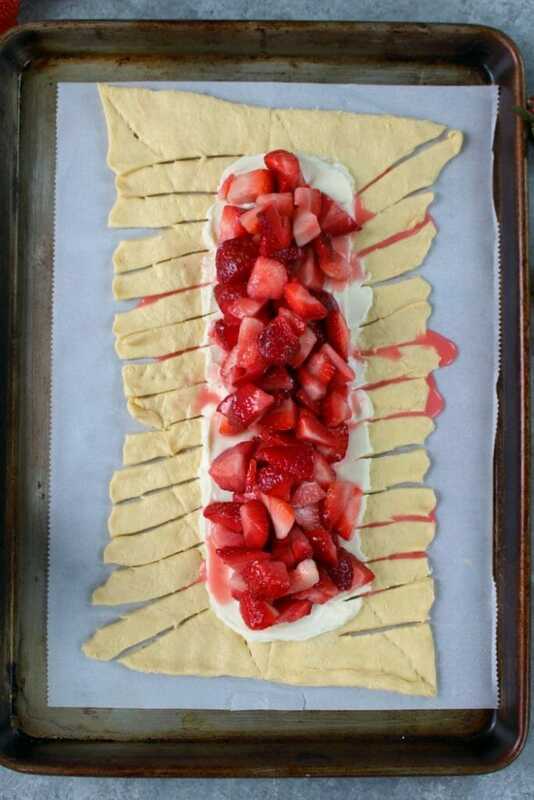 Continue with all the strips of the dough until all the strawberries are encased. Sprinkle the top of the dough with the turbinado or raw sugar granules. Bake at 375 for 15-18 minutes or until dough is golden brown. While pastry is baking, mix together the glaze by creaming together the powdered sugar, cream cheese and milk. Mix until smooth. Some stores carry non-perforated crescent sheets. I highly recommend using these instead of the perforated sheets. If fresh strawberries are out of season, feel free to use frozen berries. Let them thaw prior to mixing with the sugar and corn starch.